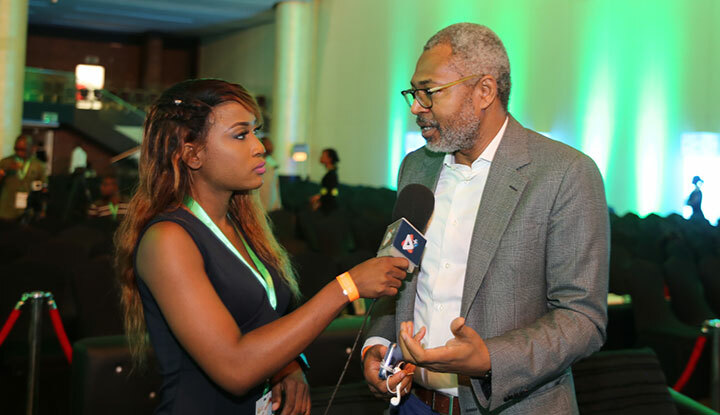 Former Nigeria Broadcasting Commission (NBC) director general Emeka Mba tells Content Nigeria about the challenges that come with the digital transformation of telcos. Partnerships and collaborations are key to evolving and widening any company’s scope, and in the content industry, telcos and broadcasters have often partnered to launch VoD and OTT services to their customers. This has recently been the case in Nigeria, but the rise of OTT services has brought its own challenges. At the recently concluded Creative Nigeria Summit, Georgiev Stanislav, head of media broadcasting at A1 Telekom Austria Group, moderated a panel session featuring Toyin Subair, exec chairman of Digital Play, and Emeka Mba, the former director general of the NBC. The panellists discussed the digital transformation of telcos and the resulting challenges. In this exclusive interview with Content Nigeria, Mba sheds more light on some of these issues and offers solutions. What are the regulatory challenges facing Nigeria and do you think regulators are holding the industry back? I wouldn’t say they’re holding back the industry wilfully; no, it’s the way the regulatory environment is set up. The world is converging but, as far as digital media is concerned, they don’t know that. They still operate within a certain scope. In this country, telecommunications operators are separate from broadcast and satellite; there is not enough synergy between them. Realistically speaking, when technology and consumption patterns are converging, the operators and regulators do not collaborate. Therefore, it doesn’t take a rocket scientist to figure out that a separation will occur, a tear that causes a backward shift in terms of investment. The regulatory environment is so unclear that these companies fear that if they lean in too much, they might run the risk of heavy fines. So everybody wants to pull back and hedge their bets. Rather than coming in directly, they prefer to look for gaps and loopholes. They avoid making the right investments. These are where the challenges lie. I’ve been a regulator in broadcasting and film and I know the challenges. I was one of those who opposed convergence. I said to leave the NBC alone, leave the Nigerian Communications Commission alone, leave the film and music censors board alone, they don’t need to merge. Now, I’ve come to realise the reality: there would be no link-up if there were no formal discussions, some sort of structure, some kind of talks other than the frequency management council where, they meet and discuss sharing of spectrum and so on. There should be a body that harmonises these other bodies, especially the business models that are merging. These discussions need to be had. We need to find the best way to create this by having what we call the ‘convergence regulator.’ This could be in the form of an institution or some level of informal discussion with the CEOs of these bodies. They can discuss how these business models are beginning to affect their own industries on a day-to-day basis. That’s important and should be done as regularly as possible, either quarterly or biannually. Would you say anything has been done correctly in terms of convergence? Oh yes. Look at what some of the telcos are doing – you have big players like MTN experimenting with video, things like MTN Laughs. They have different apps that they are pushing and that’s quite innovative. Airtel and Globacom are trying to do the same thing. They are doing it but there’s a certain weariness on their part to do it on a grand scale because of the uncertainty of regulators, and that’s what needs to be cleared up. Once it’s cleared up, bigger decisions can then be made.